Leopard-Trek got their Vuelta a Espana off to a flying start this afternoon by winning the 13.5-kilometre team time trial around Benidorm. Jakob Fuglsang will wear the red jersey of race leader. 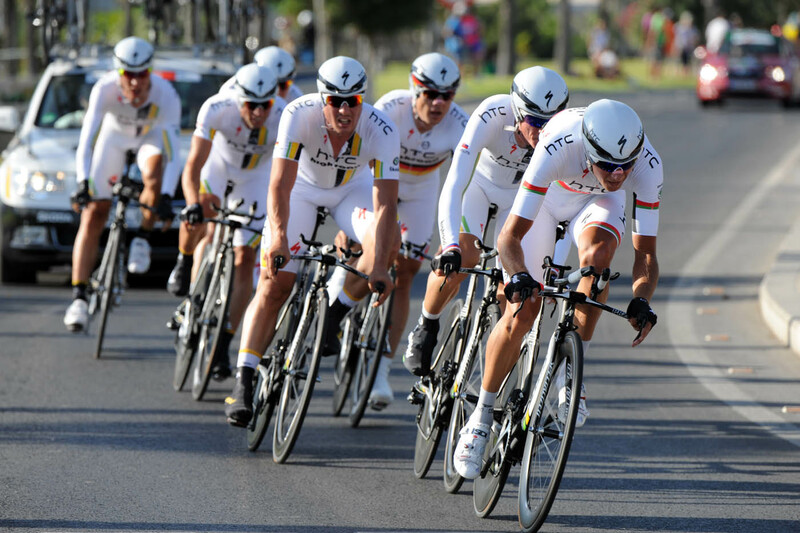 Despite losing two men early on after a crash on the testing course, the versatile squad, which includes world time-trial champion Fabian Cancellara and Stuart O’Grady, had the measure of their opponents, clocking a time of 16-30 to beat Liquigas-Cannondale by four seconds and HTC-Highroad by nine. Meanwhile, Team Sky endured a nightmare start to the race, finishing twentieth, forty-two seconds down on the winners. A touch of wheels brought Kurt-Asle Arvesen down early on and distanced Xabier Zandio, forcing him to chase back on. In the closing kilometre, Sky were left with four men and had communication problems. Zandio ended up being the scoring fifth rider. Mark Cavendish was dropped from the HTC-Highroad effort at the top of the climb, ultimately finishing 2-45 down. It was an unorthodox and technical team time trial, sending the riders up a five-kilometre climb from the start before a 180-degree turn, 75km/h descent and several more tight corners through Benidorm’s old town. Throw in a whipping wind and the cloying heat, and it lent to plenty of action. Several teams suffered crashes or mechanical problems on the course. Tour of Flanders winner Nick Nuyens (Saxo Bank-Sungard) crashed, while RadioShack captain Janez Brajkovic suffered a mechanical problem straight off the start ramp. Seventh team off, Leopard Trek set the early standard, in spite of being down to seven after Robert Wagner and Davide Vigano fell at a roundabout four kilometres in. 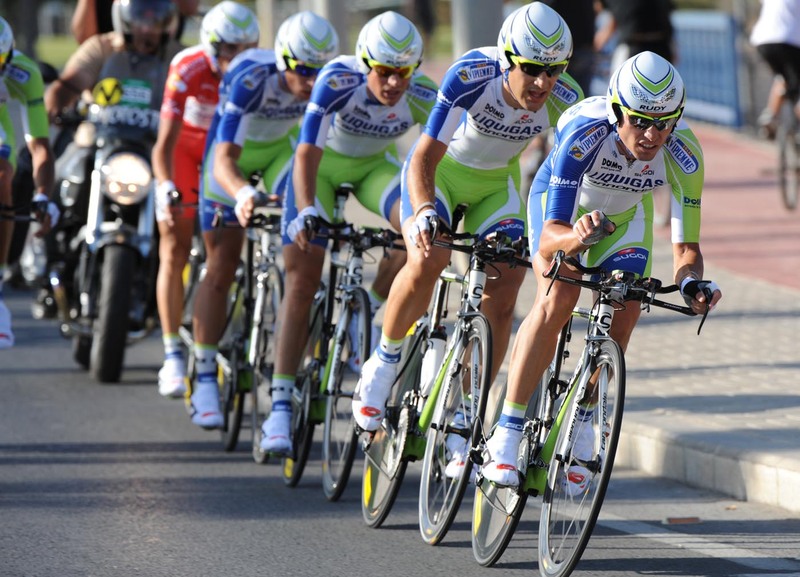 Liquigas-Cannondale, riding with defending champion Vincenzo Nibali, were the last team off. They went fastest at the intermediate point, by a second, but couldn’t stay ahead. The winners jumped up and down and shouted “podium!” when they realised their mark had gone unbeaten. It’s a highpoint for Leopard Trek after several near misses in a difficult opening season. “We’re a winning team. You can be look it in many ways, we’ve been winning more than expected, in my opinion,” team directeur sportif Lars Michaelsen said. 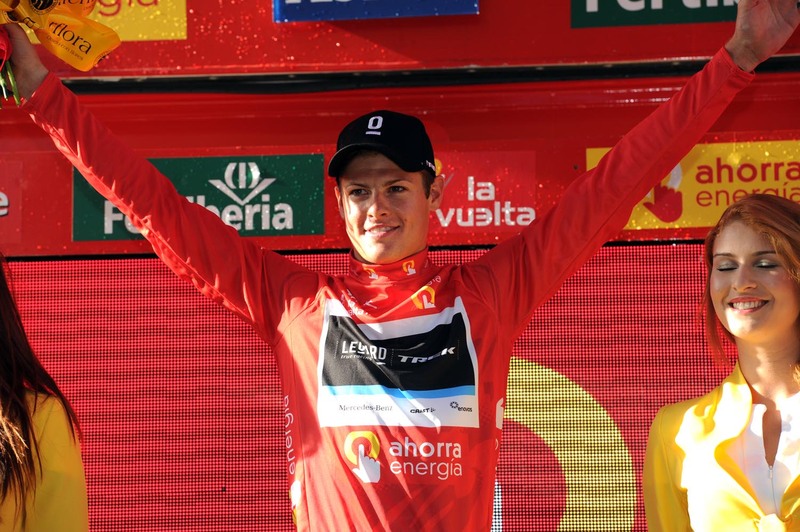 26-year-old Fuglsang will lead the team here. “I hope it’s the perfect start. I was the last Danish rider to have the leader’s jersey here, fourteen years ago – I hope he’ll be more succesful than I was,” Michaelsen joked.